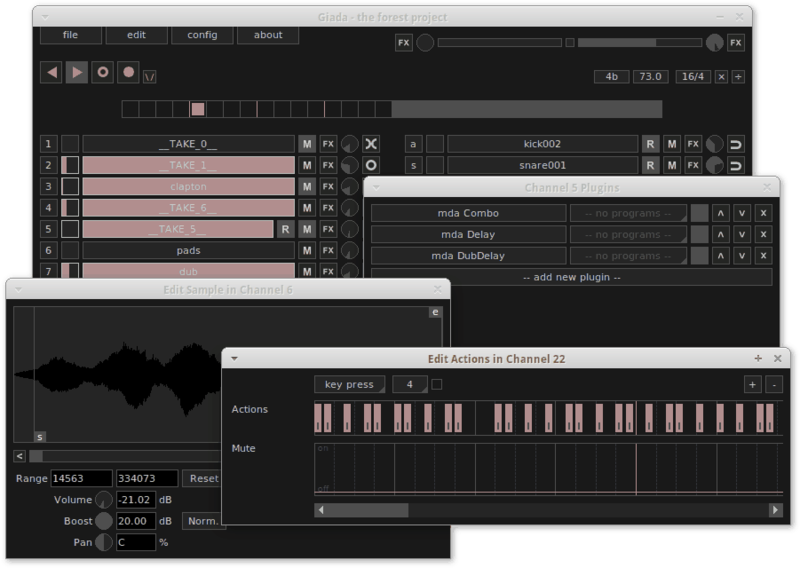 Giada is a free, open source audio software, oriented to the use of loops and sound samples, to manage thanks to the support of MIDI controller, both software and hardware. Several features of this software recall the most famous Ableton Live. 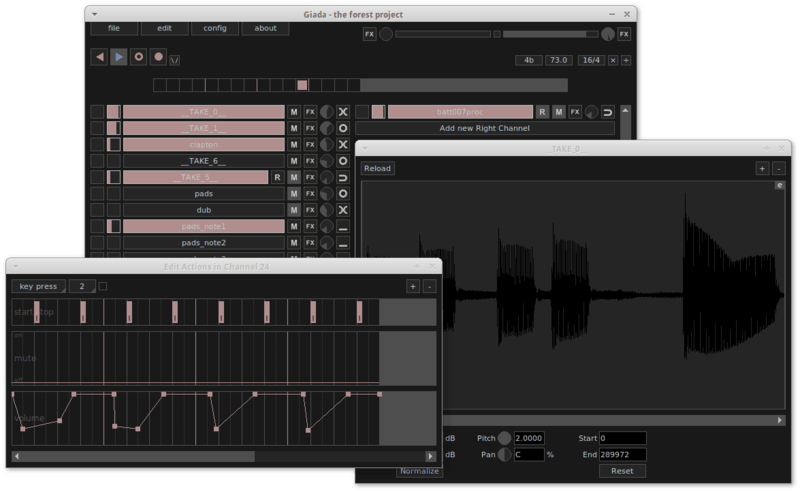 Depending on your needs, Giada can be used as a sequencer, a drum machine, a sampler for live performances or a loop machine. In addition to the uses to which I have just mentioned, Giada is enriched with all the potential that result from the use of VST and VSTi effects or instruments, directly hosted by Giada. 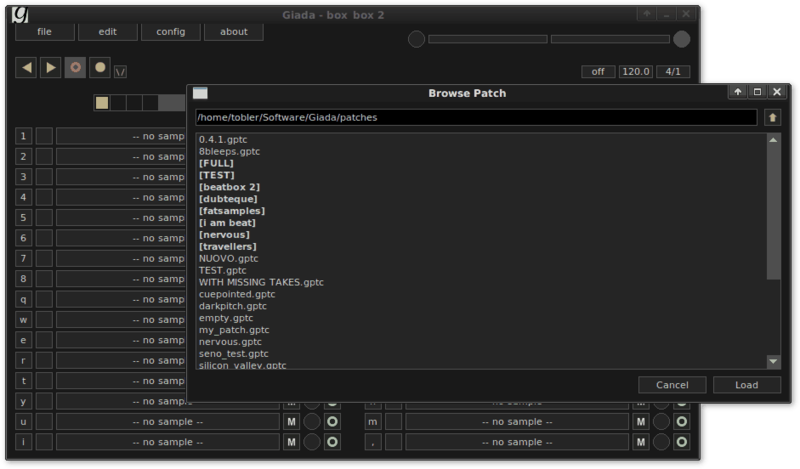 A picture of the GUI of Giada. In addition to supporting output and input Midi technology, Giada allows you to manage audio samples, loops and any other type of event, even through your computer keyboard. Also in this case the setting is very reminiscent of Ableton Live. Giada is also equipped with a built-in audio editor, through which you can easily modify your samples or to extrapolate loops from your favorite audio tracks. One limitation may be that Giada only allows the management of uncompressed audio formats, .Wav and .Aiff, but if you want a professional audio tool, compressed file are banned. The main windows of the audio editor. This powerful but agile audio software is available for all three major operating systems: You can download the version for Windows or Mac, which does not require any installation or setup, or the one for Linux, available in both 32 and 64 bit. If then you are interested in contributing to the development of this software for other constantly updated, then I recommend you download the source code. If you want to explore the features of this software or view the documents available I recommend to visit the official site, from which I extrapolated the documents gathered in this kind of manual that you can browse below. And if a video is much more informative, you can see an example of how Giada works, and if you want sign up the Giada’s YT official channel. Hai già utilizzato Giada? Raccontate la vostra esperienza, sia positiva che negativa!